a. 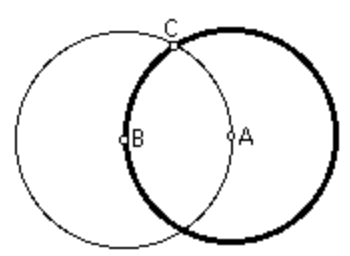 Draw 2 circles with equal radii, intersecting at C, so that each goes through the centre of the other. b. 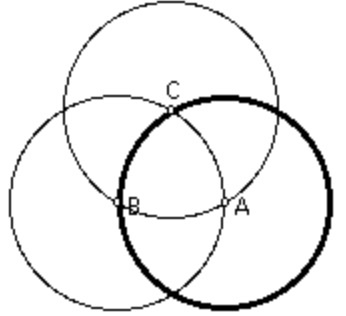 Draw a third circle of the same radius with centre C.
c. Draw 4 more circles with centres on the circle centre A and passing through A. 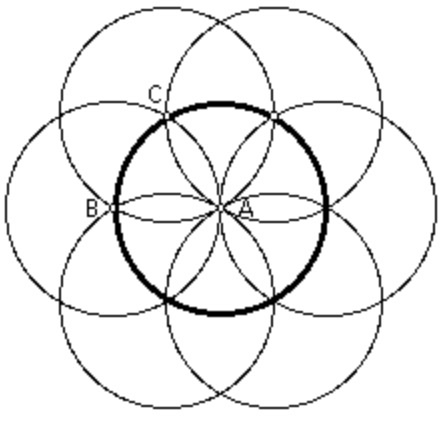 Also copy this design starting by drawing only the arcs of the 6 outer circles that lie inside the circle centre A. 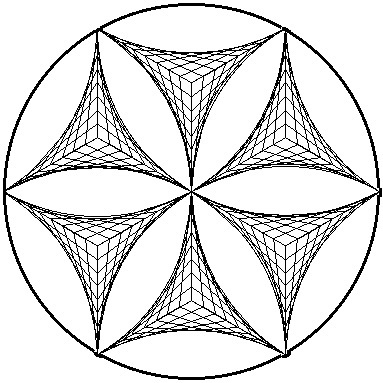 It is a clever combination of the methods of drawing patterns with lines . Click here for the Notes for Teachers.